The last two weeks have brought two new pops that are already proving to be real winners! 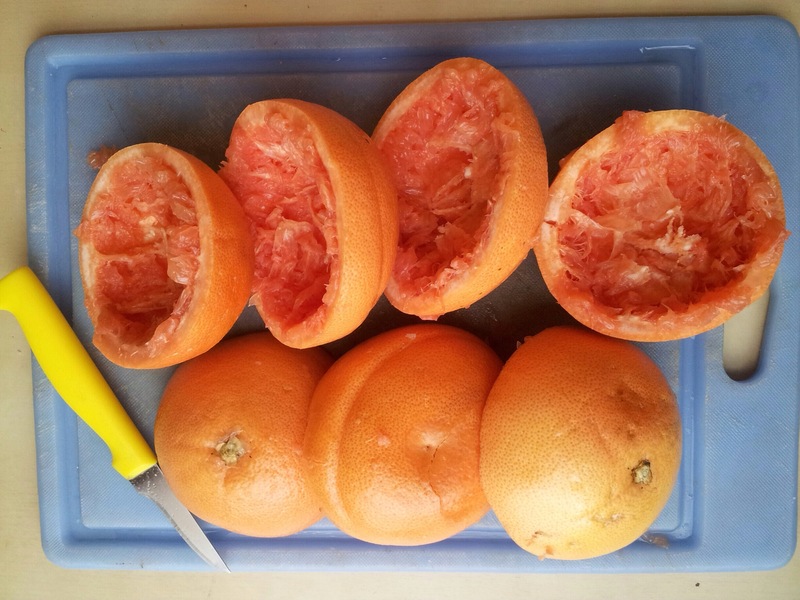 Ruby red grapefruit pops are light, refreshing and full of fresh squeezed vitamin C filled grapefruit juice. 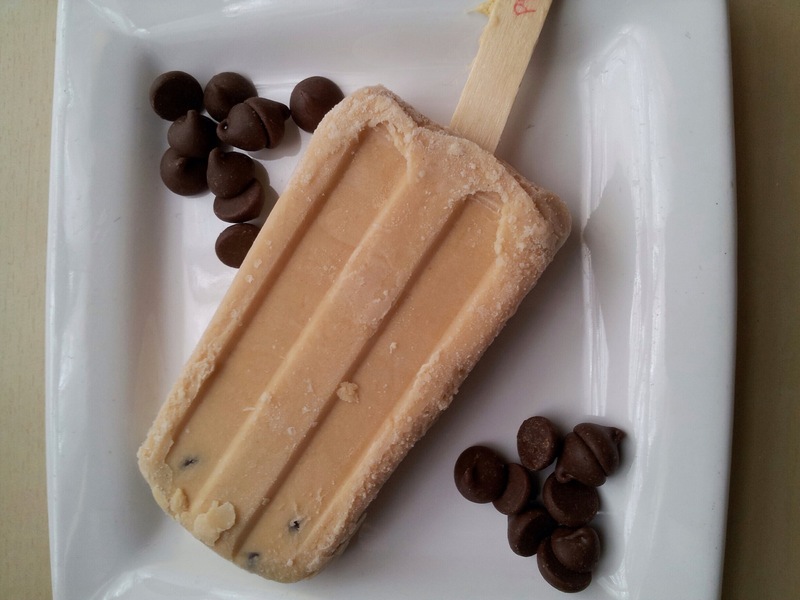 The other new pop is peanut butter chocolate chip. 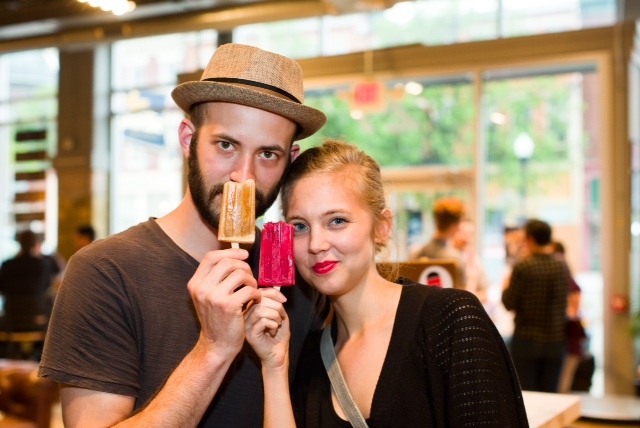 These pops are the first time we have played with the sweet and savory mix, and they are out of this world. Creamy and delish, they are sure to be a standard around here! They are both on the menu this week, so come check them out! Hello Pop Lovers! 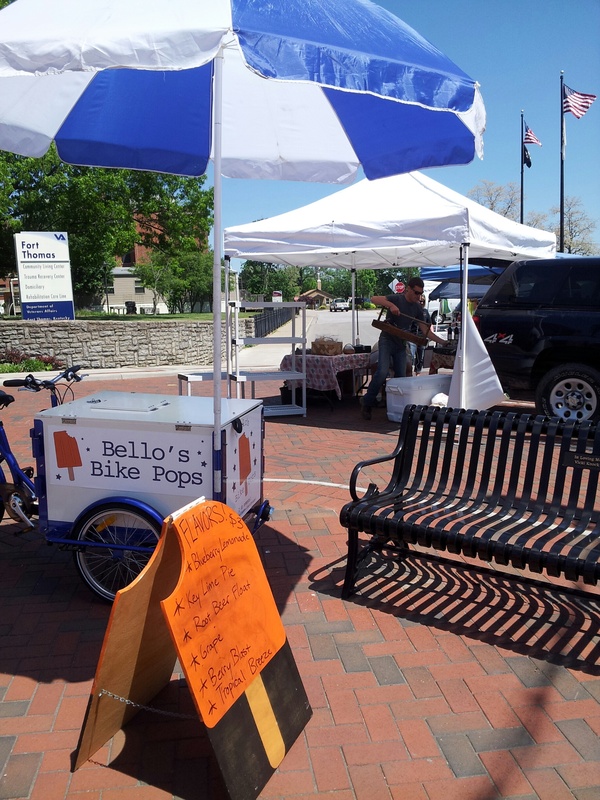 Things are hopping’ and poppin’ here at Bello’s Bike Pops this summer! Last Saturday was the grand opening of the new carousel on the Banks in Cincinnati, and it was really cool to see it up and running! I highly suggest taking your family down to enjoy the amazing landscaping, water fountains and carousel! 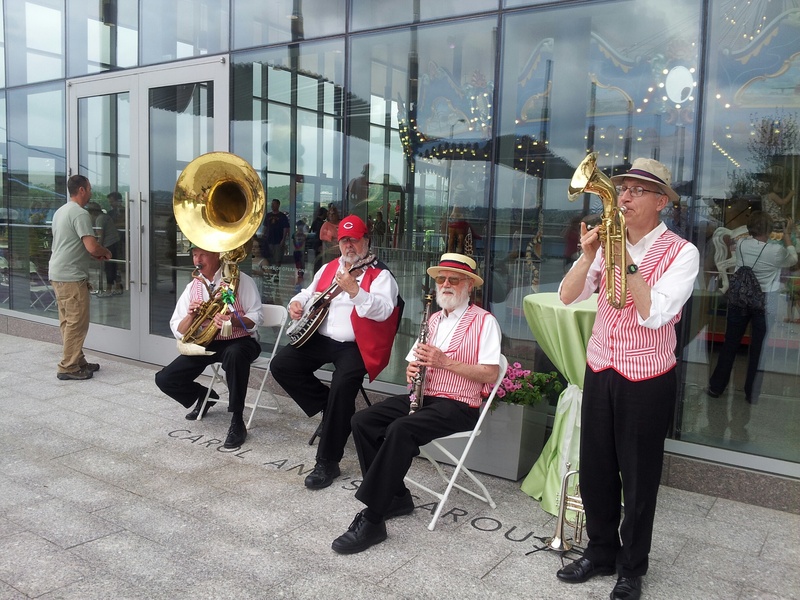 Sadly, we had to leave early due to rain, but it was fun while it lasted, complete with circus mojo and a wonderful New Orleans Style brass band. The Ft. Thomas farmers market has begun, which is on the corner of River Road and South Ft. Thomas every Wednesday night from 3-6. It is small now, but as more produce comes in, there will be more vendors added. We also were happy to participate in Carabello Coffee’s kickstarter party for the backers who had given $200 or more. It was held at Braxton Brewing, and was super fun! 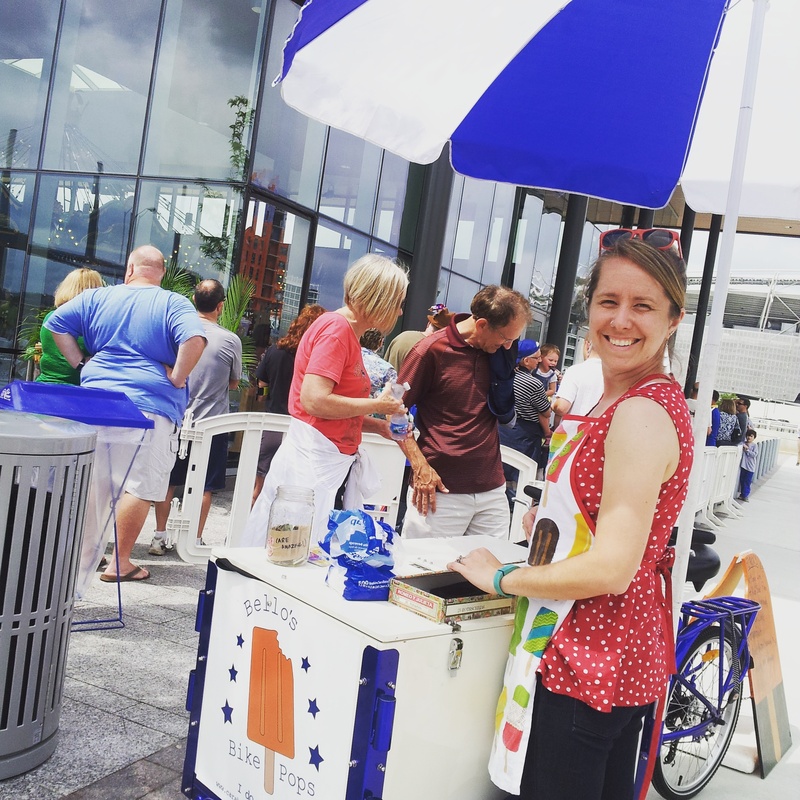 We provided dessert for everyone, which was the perfect way to kick off the ice pop season.